-Except that the playarbase s problem wasnt ramping but the ''fresh'' ideas you brought like UI, 100+ armor druid, spreading plague, 3 different OTK druid decks etc. -Except that mana ramping in hs makes sense only in early game. For ex a round 2 wild growth gives me a 7 rounds of advantage and then i lose the advantage i had simply cause both players have the same amount of mana (10). Therefore later ramping (on round 4 or 5 for ex) makes little sense and druid needs to find different advantages for early game. But w8..... how does this keeps class identity? 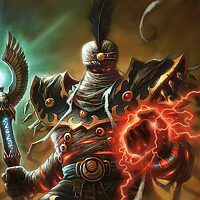 -So destroying a whole class decks in bot standard and wild is the ''right'' way? I trully wonder. SO YOU RE SAYING YOU MADE WARRIOR FRESH????? So playing with 100+ different modes of odd-warrior (in both standard and wild) is actually better and fresher than playing with 100+ different deck archetypes that simply feature fiery war axe. That Warrior interview was really painful to read. The class sat on the dumpster for more than a year (and it's still not great with just Odd Warrior). Just waiting to see what will become of Druid in the future. But the most important part: "We don't ever change basic and classic cards just to solve short term problems". Holy... then why the hell Fiery War Axe, Mana Wyrm, Wild Growth and Nourish were nerfed? Surely it wasn't completely balanced and fine stuff like Patches, Ultimate Infestation, Branching Paths and etc the problem. The problem that will eventually rotate. Sometimes Team 5 seems great and then you see this total opposite and wonder. "The main point I think is important to get across here is that we don't ever change basic and classic cards just to solve short-term problems." That's the actual quote. It is actually consistent with what it says above, since they view these as "long term " problems. "We've been trying to change some of these power outliers over time, but only when making that change might also be positive for the live game environment. 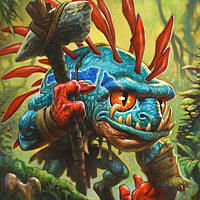 Wild Growth and Nourish were good examples of cards we had thought about changing for some time, so when we arrived in a meta where Druid had been very powerful and popular for a long time, it felt like a good time for those changes. 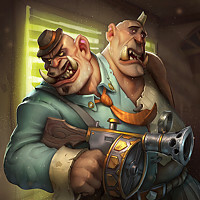 We'd like to continue making these types of changes, as we believe the game will be in a better position to meet the player expectation that the game is new and fresh from expansion to expansion." I agree with you, nourish was never problematic in non UI metas. Not at all. Waraxe timing proved t be very revealing too since they didnt nerf patches at the time, but eventually caved in and did nerf the lil pirate. Waraxe was objectively strong though but your point still stands. So despite what Ayala said, things like nerfing nourish can only be explained within the context of short term balance. No way around that i am afraid. Druid before nerf had 4 different decks but they all rely on the ramping mechanic. 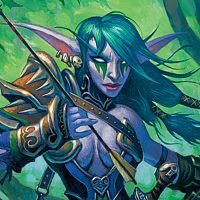 It is obvious that Druid class were not given good enough cards to support alternative deck archetypes. 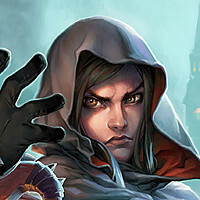 Sorry Dean, the last nerf still seems to me as an attempt to sell more cards from the new expansion than an attempt to balance the meta/ class. Not only did the nerf manage to further dilute class identity, it failed to meet the goal of “meeting players’ expectation of creating new and fresh experiences”. Oh and how long has warrior been sitting in the dumpster tier in the past? The new expansion added dragon theme cards but they barely work in the current meta. Rush warrior had a bit of spark was it was unfortunately short lived. And why not mention the cards printed for freeze Shaman? (Sorry for going off topic) This archetype never took off. 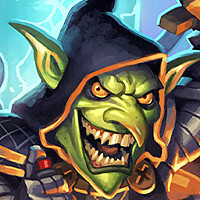 Some of the cards we received from recent expansions prior to R&R are simply too powerful and broken (Deathknight, keleseth, just to name a few) Their insane power level is what prevents the new cards being played, not classic cards. 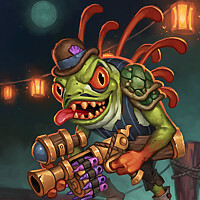 "we nerfed wild growth and nourish so we could make epic spells with the same effects as prenerf and force you to buy packs, just like we did with FWA in the past"
So hearthpwn forums is where tardisgreen ended up. why are you saying people never complained about it ? People always suggested that druids weakness after ramping was to stay out of resources (aka cards) and that UI pretty much deleted this weakness. Therefore ramping and huge card draw dont fit together. What you suggest sounds like ''They gave good minions to mage so now they have to nerf the spells''. with good reason. 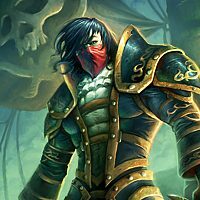 ramping aggressively should have a down side like card advantage. it had that until ui was printed making it a non-factor. 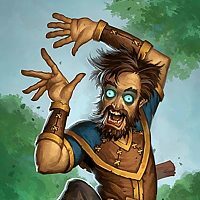 Wild Growth and Nourish have been present in every mid-range, combo, and control Druid deck since their introduction in the Basic and Classic set. complete and utter lie from the devs regarding nourish. it didnt even see play until old gods (aol nerf) and didnt become instant include until ui (azures recent forced retirement & ui contributed here) yet they chose to nerf it despite this fact as the main offender is not long from retirement? makes no sense to me. they went way overboard with the nerfs, thats fact and history supports my above claims. Maybe Blizzard should tell us a few more cards that they've been thinking about changing for a long time, and see if the players actually agree with them. I read the interview as a long winded way of saying they nerf classic cards into the ground so they can sell more in expansions. The whole explanation of creating more “design space” or “introductory experience” amounts to no more than a euphemism for greed. I want a reliable and consistent experience in HS. I don’t want staple cards changing on a whim merely because Blizzard’s suffering from a creativity drought. 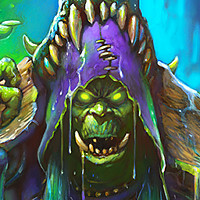 Who knows whether the next expansion will make druid competitive again. 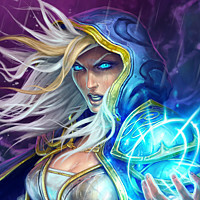 Same is true for mage. It’s getting taxing having to shell out three time per year for expansions only to end in disappointment when the class you enjoy doesn’t get cards to support it. Numerous examples of this exist. Druid treants. gonk druid. Discard lock. Enrage warrior Rush warrior. Freeze shaman. etc. And some archetypes that now finally work only do so at end of life, prior to rotation. So I’ve invested roughly two years worth of expansions only to finally assemble all of the cards to have a functional, viable deck. That’s BS. How is this OK? Wild Growth was over nerfed, no doubt, it wasn't a problem back in the early days. I wonder why they din't nerf Spreading Plague and armor like everbody was telling about. So they spent 4 months thinking about it and still came up with the wrong answer. Amazing. UI is the problem plain and simple. Was ramp really that problematic before UI deleted any drawback to ramping?